Jakarta, 30 October 2018 – One of UN Convention on Child Rights is the right to education. YCAB Foundation provides this right to education through it’s Learning Centers programmes. YCAB has 49 Learning Centers that are spread throughout Indonesia in partnership with local and corporate partners. This October marks the starting point of YCAB Foundation and PT Mandiri Manajemeng Investasi (“Mandiri Investasi”) collaboration. Mandiri Investasi is officially supporting the high school equivalency education programme at YCAB’s Learning Center in Duri Kepa, West Jakarta. Mandiri Investasi will support all operational activities for 35 students for a one-year period. Photo caption: Alvin Pattisahusiwa, President Director of PT Mandiri Manajemen Investasi (center-left) and Mario Montino, COO of YCAB Foundation (center-right) signed a cooperation between PT Mandiri Manajemen Investasi and YCAB Foundation. On Tuesday (30/10), Mandiri Investasi signed an M.O.U. with YCAB to cement this partnership. 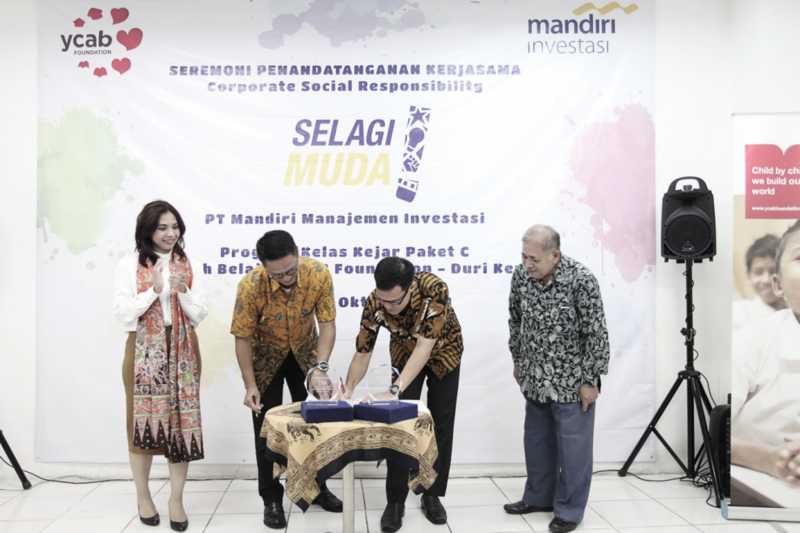 The ceremony was attended by Alvin Pattisahusiwa as President Director of Mandiri Investment and Mario Montino as Chief Operating Officer of YCAB Foundation. That day also marked Mandiri Investasi’s 14th Birthday. 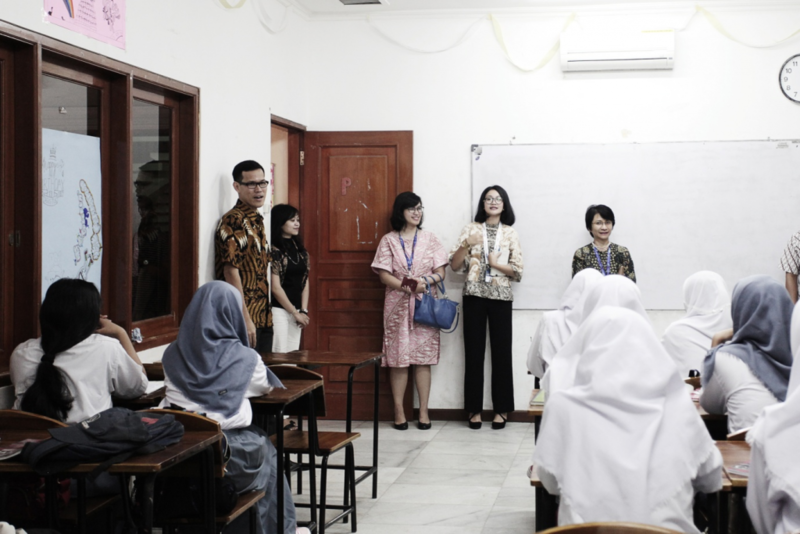 Photo caption: Mandiri Investasi with YCAB Foundation team sharing stories to students at High School Equivalent Education Class at YCAB’s Learning Center in Duri Kepa, West Jakarta. “Thank you for the support that is given by Mandiri Investasi this year. We are hopeful that our high school equivalency education students will succeed and become independent post completion of their study at our Learning Center”, said Mario Montino, Chief Operating Officer YCAB Foundation. On top of offering a high school equivalency education programme, YCAB’s Learning Center at Duri Kepa, West Jakarta also offers equivalency education programmes for elementary and junior high school level. YCAB students are also provided with soft skills development along with computer classes and English classes, skills very useful in professional career. YCAB also supports youth development and helps students to explore their potential through various skills/vocational trainings such as batik, garment, beauty, and electronics’ program.